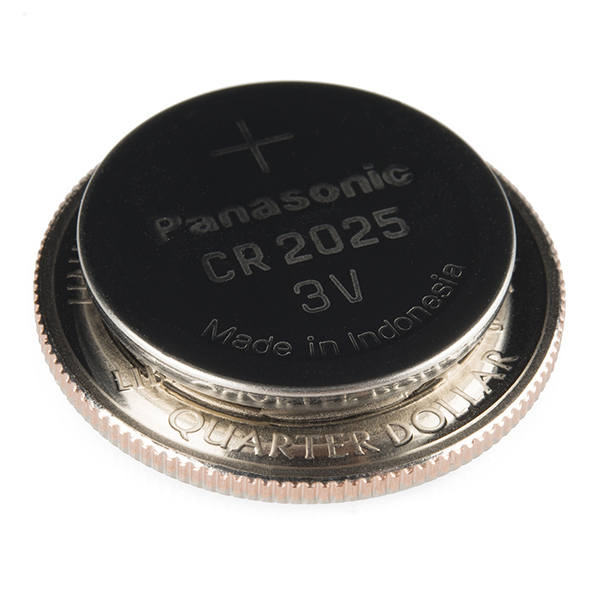 This is the CR2025 20mm coin cell battery. 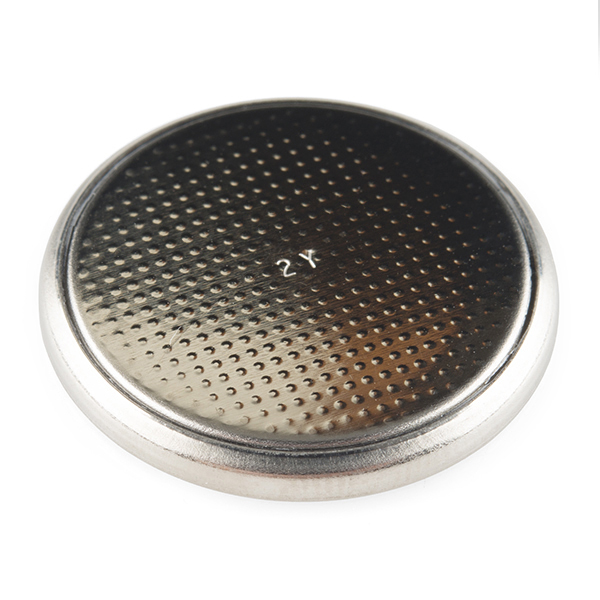 You may be wondering what sets this guy apart from the more common CR2032 coin cell battery, the answer is actually quite important. 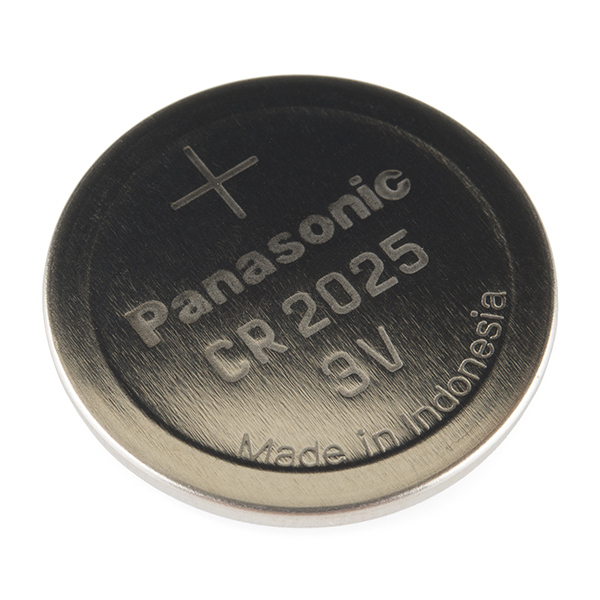 The CR2025 is actually 0.7mm thinner, than the CR2032, and is only rated at 165mAh. 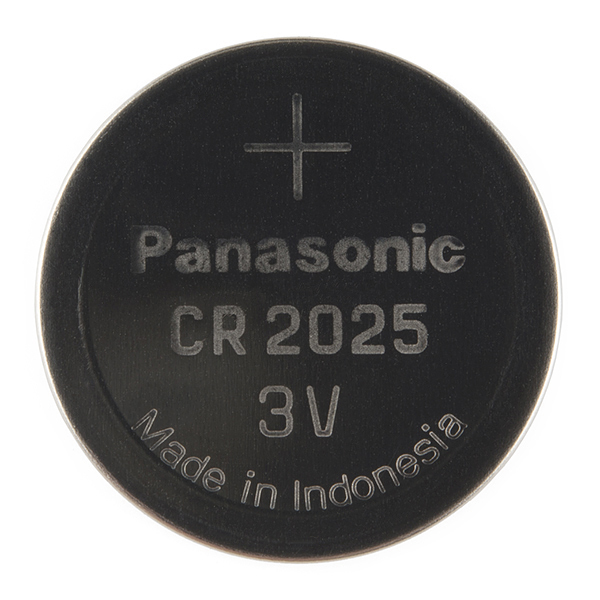 Some applications need a thinner battery to conserve space, and the CR2025 fits the bill. This thin guy is a perfect mid-sized battery for calculator and remote control applications! Note: This battery is not available to ship to Alaska or Hawaii, or through any express services (2-day, overnight), or internationally. This is temporary! Check out our blog post for more information. Additionally orders may take longer to process and therefore do not qualify for same-day shipping. Sorry for any inconvenience this may cause! Note: This battery is perfect for our new infrared remote control (check below).